How candles are made? Discover all the science behind candles and much more with the Candle Factory! 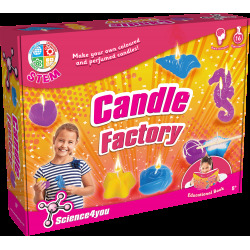 Make your own coloured and scented candles. 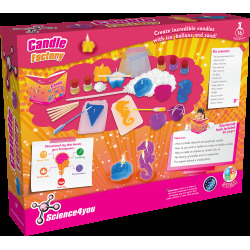 You will enjoy creating incredible candles of ice, baloons and sand. The different types of candles. The science behind a candle flame. How to make coloured and perfumed candles. 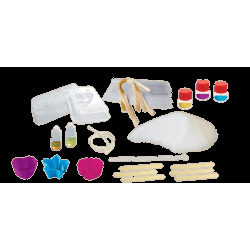 This toy also includes up to 16 experiments for kids as well as an educational book with 36 pages.